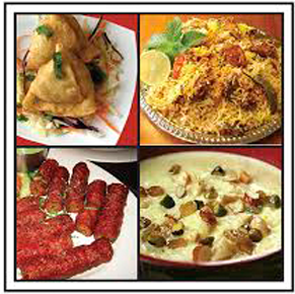 Kabab N Chutney "Halal" Restaurant is facilitated by a group of gourmet experts and obliging staff. The way of life at Kabab N Chutney "Halal" Restaurant mirrors a difference of taste and culture of Indian and Pakistani food. We set up our dishes from the finest crisp produce & "Halal" meats and freshly ground flavors. These are mixed with consummate expertise and creativity to deliver exquisite treats that entice the eye and increase taste. The scent of fragrant flavors are a claim of fame of Kabab N Chutney "Halal" Restaurant. We are pleased with our acknowledgment as one of the best places to feast in the heart of Sacramento. We provide both Vegan and Non-Veggie lover dishes to suit all tastes. With our precisely picked items on our menu, we have set up an impeccable parity of lunch and dinner with an assortment of charming and delightful options. We also offer catering services to small and large events, weddings, graduations, corporate holiday parties and executive events. The Buffett contains: Appetizers, Green Salad, Basmati Rice, Halal Chicken, Lamb, Goat, Seafood and Beef curries, Sauces, Chutney's, Vegetables Curries, Naan, and Dessert. The Buffet Changes on a Daily Bases. On my days off, this place is my go to. Nothing beats an Indian buffet with fresh naan but what makes this place stand out is that its Pakistani & Indian food. The difference being spicier and deeper flavors, its not as mild as other Indian places that try to cater to the masses. I can say without any regrets that i had every dish there and that stuff is the real deal, so good. The service is good also, i haven't had to ask for water refills or naan refills they are always on top of it.. 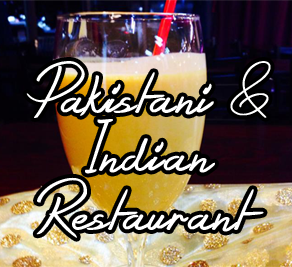 I think if you're Looking for some spicy, authentic, and flavorful Pakistani-Indian food, you have to give this place a shot. there's really nothing comparable in the area. Call Us Today for Your Reservation. Copyright 2015. KABABNCHUTNEY All rights reserved.